Lisbon has a lot going on in the city. 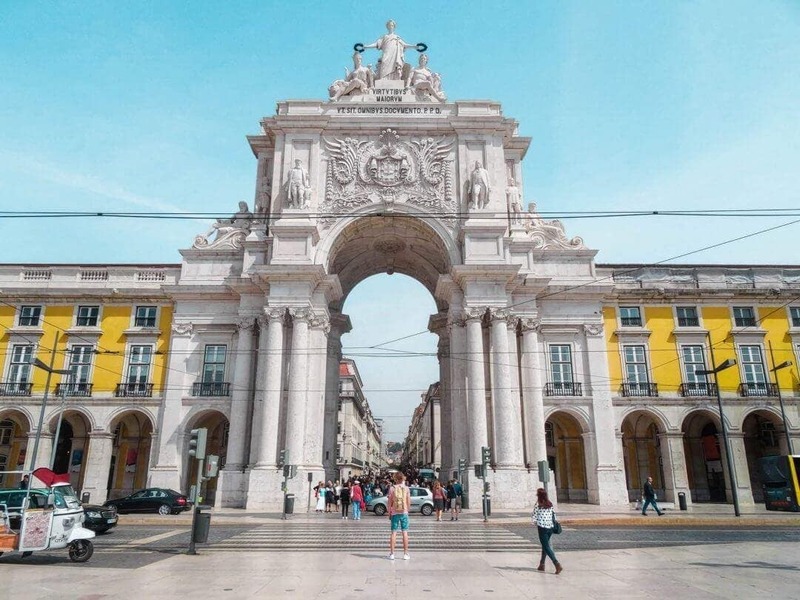 We wrote down the things to do in Lisbon that will help you plan the few days you have during your city trip. Public transportation in Lisbon is really well organized but you can even explore the city on foot. Start your day by visiting the Belem area. Go taste the famous Pasteis de Belem, visit the Monastery of Jeronimos and the Belem Tower. 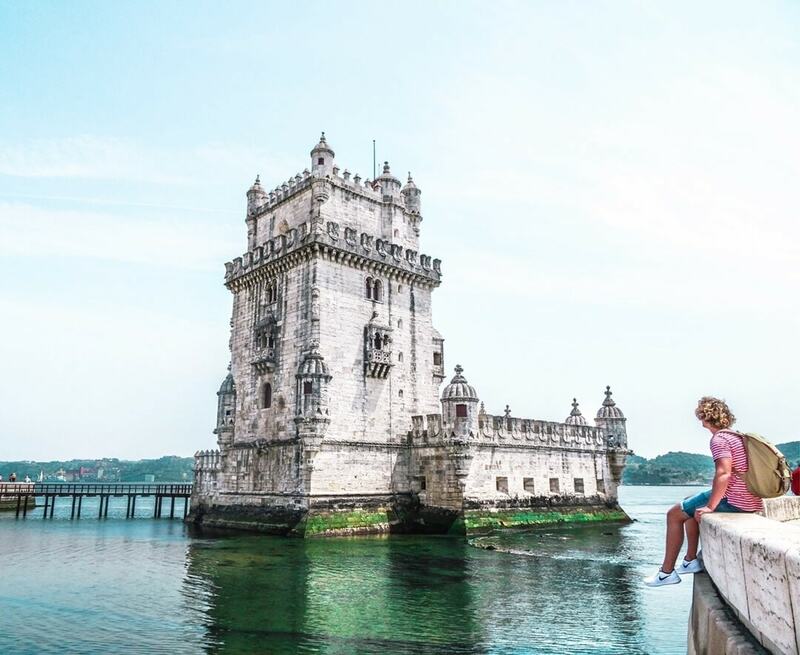 The Belem tower is closed every Monday. Tram 15 is the one you should get to reach Belem. After Belem, take the tram back to Arco da Rua Augusta or walk along the pier and see the Ponte 25 de Abril. No, this isn’t the Golden Gate bridge in San Francisco, although it looks like it. Next, cross the bridge and visit the Christ Statue. Which looks like the one from Rio. Lisbon has it all. This one can be hard to reach when using the subway. Check Google Maps to get the real-time directions from your leaving point. On your way back, stop at the LX Factory. This trendy market style street is a great place to get some food or drinks. Or visit the beautiful library. Sintra, Portugal is a small fairytale-like city near Lisbon. Sintra has a UNESCO World Heritage status. It is easy to reach by train and you can easily spend a whole day here. This was our favorite place to chill at sunset time. People are enjoying their drinks and having fun together at the riverside. Located between Praca Comercio and Cais do Sodré station. One of the most famous restaurants in the city. Experience an incredible dinner at Restaurante Floresta de Santana. Just skip the alcohol, save this for the next to-do on our list: visiting a rooftop bar. After dinner, finish the day at one of the many rooftop bars in Lisbon. Topo is close to Restaurante Floresta de Santana. Combine the shopping streets, Santa Justa-Lift and Arco da Rua Augusta in the city center. The Santa Justa-Lift takes you to a platform where you will have a nice view over the city. From there, take the famous tram 28 to Alfama, which is the oldest part of Lisbon. The beautiful colored tiles on the houses will make you wander around for a full day. Tip: There’s a free back entrance to the Santa Justa-Lift. This should be in the alley to the right of Museu Arqueologico do Carmo. After Alfama, you can walk around 10 minutes to the best spot in the city to watch the sunset. The best time to visit Lisbon is either from March to May or September to October. Lisbon is a bit less crowded, hotel rates are cheaper and the weather is still warm enough. 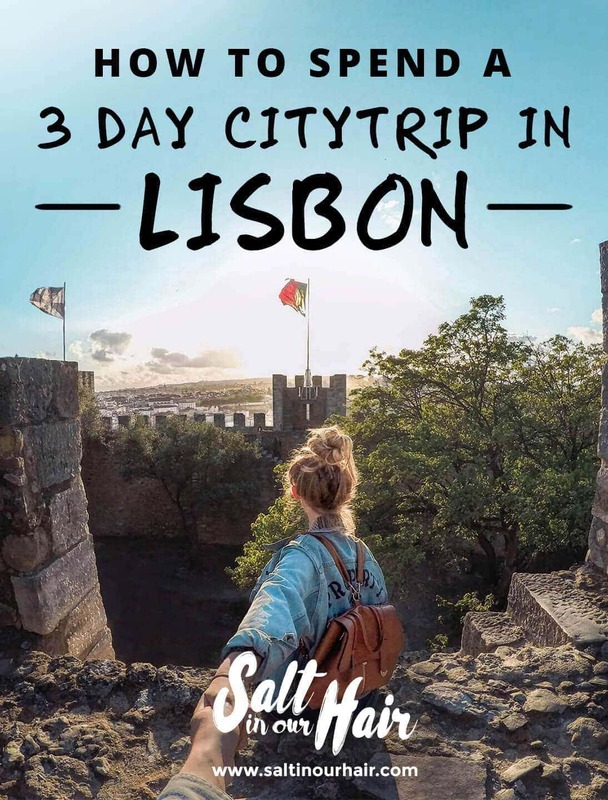 Getting to Lisbon is easy, direct flights from all over Europe to Lisbon. The airport is just a 25-minute subway ride from the city center! A great looking hostel on a perfect location in Lisbon.